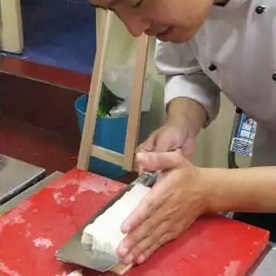 What weight should a Chinese chef's knife be and for what purpose? 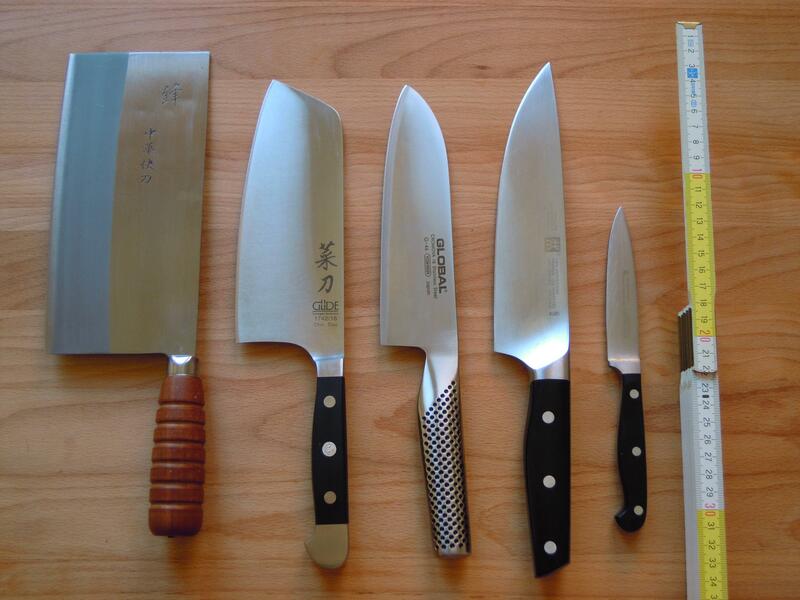 Chinese chef's knife is left-most in the picture below. A chinese style chef's knife, also known as the cai dow, or vegetable cleaver(trial subscription required, but an excellent article), is superficially similar to a western cleaver. The cleaver is typically a very robust blade, thick and weighty, meant for separating meat at the joint, splitting ribs and chops, and other tasks that require a lot of weight and a stiff blade. Weight and thickness with depend on what you are cutting and personal preference. Many Chinese cleavers are marked with a numbering system, which depends on the manufacturer. A very light one is used for light jobs (mostly vegetables), and medium for all purpose jobs (vegetables and boneless meats) , and the heavy ones for bones just as a Western cleavers. 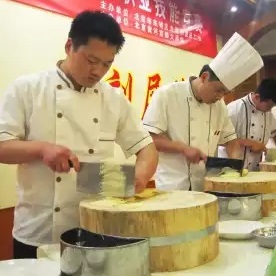 But in most cases it is going to weigh more than a typical western chef's knife. The typical Chinese cleaver is going to feel much more blade heavy. So getting your grip as close to the blade is going to give you more control and less fatigue, until you get used to the feel of the cleaver. The blade heavy balance helps you use the cleaver's weight to your advantage. Basically just lift the blade and let the weight cut the food, with just a bit of downforce and guidance on your part.